After returning home from a long weekend it was time to get cooking. There was precious little in the fridge but what there was I put to good use. There wasn't much time to do cooking with a late day at work and my free time spent trying to register our new car so it was all about meals with a quickness tonight. It was time for a light meal. There was a lot of heavy food consumed this weekend including a subpar macaroni and cheese from a restaurant in Boston which refused to let me order plain pasta because that was only available off the kids' menu with no adult option. What adult would want pasta with marinara sauce? I must be out of my mind! I offered to pay twice as much for an adult sized portion and they said, "No." Then I offered to pay twice as much for the child-sized portion and they still said, "No." There was also good heavy food including an old standby of my Northern Rhode Island heritage: family style chicken. 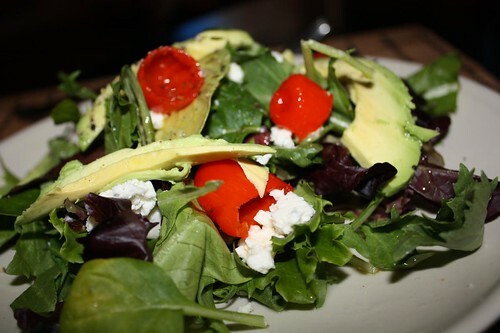 For a salad: mixed greens with the remaining peppadew and queso fresco from the fridge, some lime juice, olive oil, and avocado slices. I found some great-looking skate wing at the local fishmongering place. 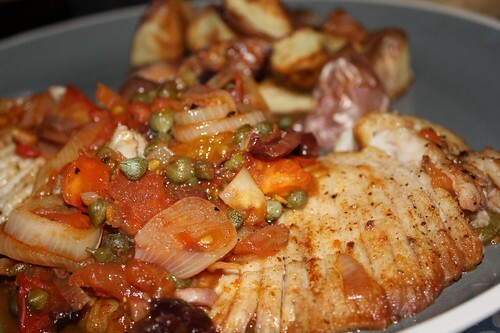 I seared it up in a little olive oil, butter, and garlic then added shallods, tomato, kalamata olives, and capers and finished cooking the skate wing in the sauce. I also roasted some of the remaining potatoes from the crisper with a little olive oil, salt, pepper, and Old Bay. Jen revealed this morning that she does not like skate because the texture freaks her out. She does feel, however, that she should force herself to like it. I maintain that there are far too many foods in the world to force yourself to eat the ones you don't like. After all, you don't see me forcing myself to like the show Bones do you? 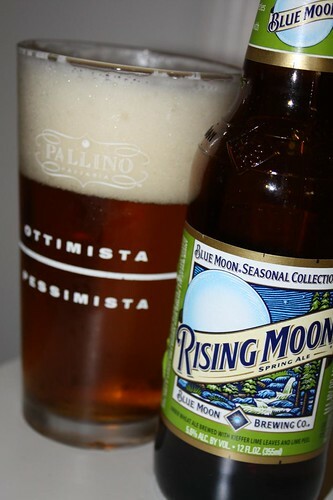 For beer I tried this seasonal spring beer from Blue Moon called "Rising Moon." It is supposed to have hints of lime or kaffir lime, or something else that I would know if I weren't too lazy to get up and read the bottle. I didn't pick up on any of it but I'll take their word for it. At any rate it was pretty tasty. Almost as tasty as that pasta with marinara sauce might have been. Fun fact: I find the texture less upsetting when cold. Should be the opposite way around, but no! That is quite unusual. I guess you like ice skating.